We invite you to head to Sunset Beach at Fly Casino and dance to the upbeat tempo of the music as you spin 4 machines at the same time! If the 1st didn't win you still have a chance to win on the other 3! Gorgeous bikini babes are stacked on reels 2+3+4 and become expanding wilds. They also clone themselves on the same reel onto the next machine from the top leftmost to the bottom rightmost! 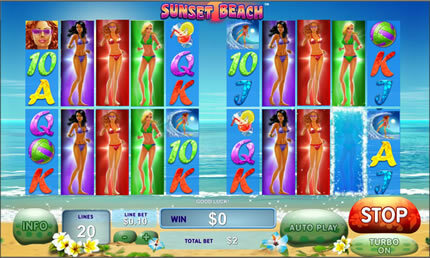 The fun in the sun never ends with 15 free games played on all 4 machines! It is a beach party at Fly Casino - try it this weekend! Saturday June 14, 2014 00:00GMT until 23:59GMT on your first deposit of $/£/€10 or more our members are eligible for our exciting Your Choice bonus. 2X Super Value Monday! On Monday June 16, 2014 from 00:00GMT until 23:59 GMT, all members on their first deposit of $/£/€40 or more will receive a $/£/€60 bonus. Claim it twice for 120.00! 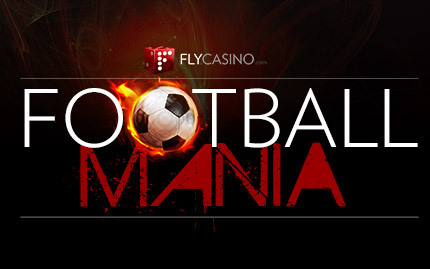 On Tuesday June 17, 2014 from 00:00GMT until 23:59 GMT all members on your first deposit of $/£/€25 or more will receive a 222% deposit bonus up to $/£/€170.00. On June 19, 2014 from 00:00GMT until 23:59 GMT all members on your first deposit of $/£/€50 or more will receive a $/£/€60 deposit bonus.